If you’re on the market for a new car in North Aurora, IL, you have a choice to make. This review will help you to decide which popular sedan is perfect for you, the 2019 Chevrolet Cruze or Honda Civic. 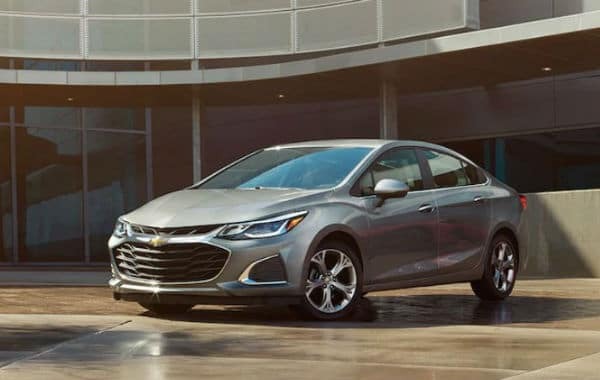 Both have their pros and cons, but ultimately, you’ll see why the 2019 Chevrolet Cruze is the right choice for those living in North Aurora, IL. It has the power, performance, technological features, and safety features that you need. Make sure you are choosing the right vehicle for your needs by visiting Ron Westphal Chevrolet and checking out the brand-new Cruze. Please visit us any time and for a test drive. 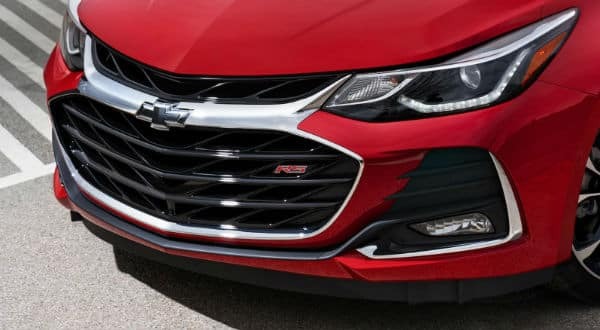 Both of these cars have great performance features, but you’ll soon see why the 2019 Chevrolet Cruze edges out the competition. You’ll be sure to feel the power and acceleration in these vehicles. Check out each of their performance specifications below. Test-drive the 2019 Chevrolet Cruze at Ron Westphal Chevy near North Aurora, IL. You’ll be sure to feel the power and performance when you do. Another important part of your brand new car is the technological amenities. 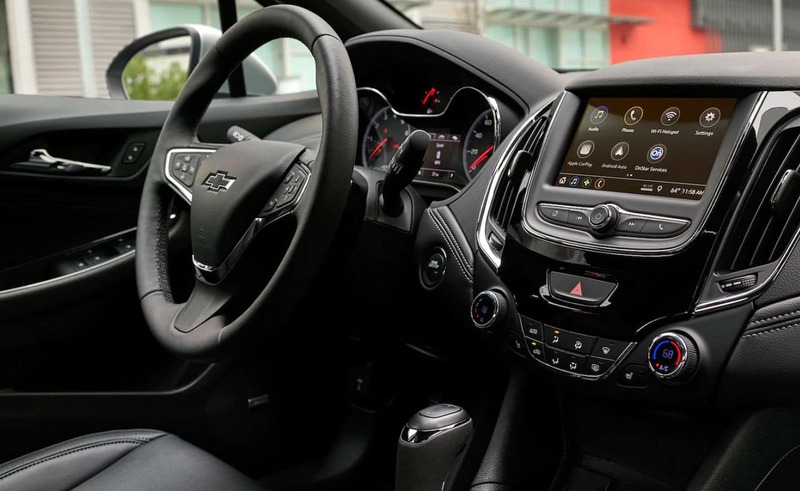 Whether you need Bluetooth Connectivity to help you be a little more productive during your commute or an entertainment system for the kids on long road trips, the 2019 Chevrolet Cruze has the features that you want. Don’t settle for anything less than the best. You want to have all the modern features that are available. You’ll have one of the most advanced cars in North Aurora, IL. It’s up to you to decide which vehicle will keep you most comfortable and entertained during your daily commutes and trips around North Aurora, IL. The interior of a car can make or break the entire vehicle. Both the 2019 Chevrolet Cruze and the Honda Civic provide comfortable features, but only one can win out. Check out some of the best features that each has to offer you and your family. Get the essential comfort features that you want on the interior of your vehicle. 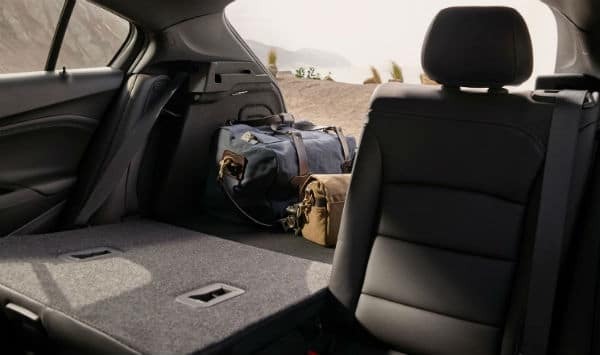 Visit Ron Westphal Chevrolet to check out the rest of the features on the 2019 Chevrolet Cruze. You’re going to want to look great when you’re rolling around North Aurora, IL. Both the 2019 Chevrolet Cruze and the Honda Civic have great designs that make them stylish. Ultimately, its up to you which one looks best. Both have a small, sleek design but still have their own specific looks. A great exterior will have you looking cool as you drive around North Aurora, IL. Choose the one that you like the best and head over to Ron Westphal Chevy to ensure you’re making the right decision. 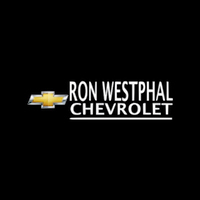 Here at Ron Westphal Chevy, we strive to ensure that every person can afford their dream car. Why should you have to suffer while everyone else gets what they want? Our friendly staff will walk you through the entire process, as it can be stressful. You’ll get to test-drive a vehicle and even talk with our financial center professionals. They can give you great advice on buying and financing. Plus, we have one of the best inventories in North Aurora, IL. You’ll be able to find your favorite vehicle with a variety of different colors and trim levels to choose from. We are dedicated to serving our community and we want you to feel like family every time you come in and visit. Stop by to check out the 2019 Chevrolet Cruze. Visit us conveniently to take your new 2019 Cruze for a test drive on the highways of North Aurora, IL.